"Free raised" veal is turning diners back onto meat that was widely considered too cruel to be palatable, reports the NYT. Ten years ago, California banned the production and sale of foie gras. But according to an article in French Morning, sales of the stuff have never been better. Ariane Daguin—owner of D’Artagnan, the largest distributor of foie gras in the United States—told the online magazine that business in the Golden State has increased by 200% since the ban came into effect two years ago. This is possible because the law prevents restaurants and shops from selling the product, but doesn’t forbid private consumption of foie gras produced out-of-state. At the center of the foie gras controversy and subsequent ban is the practice of gavage, or force feeding a duck or goose to increase its liver size. Daguin, like many experts, says that gavage is necessary to the production of foie gras, but does not harm the animals if done properly. In April of this year, she took First We Feast on a tour of Hudson Valley Foie Gras farm where D’Artagnan ducks are raised. She says the force-feeding is not painful for the birds, who are physiologically equipped for gorging themselves on food seasonally and for swallowing large items (you can read a more in-depth explanation on their anatomy here). What is unethical to Daguin are facilities that practice factory farming and raise animals in stressful, cramped, and unsanitary environments. Yet for many people, including devoted meat-eaters, there is something deeply uncomfortable about the idea of force feeding an animal to make it taste better. Even if it isn’t painful, is it absolutely necessary? Daguin would argue yes. 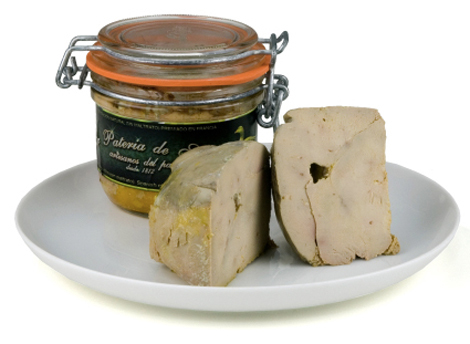 Yet, one Spanish producer called La Pateria de Sousa has found a way to create small batches of foie gras without the need to force feed. Farmer Eduardo Sousa raises around 1,000 birds a year on his family’s free-range farm and creates award-winning foie gras that is “100% humanely and responsibly produced,” even down to the slaughtering process. He explains his simple philosophy in this six and half minute video by The Perennial Plate. The most ecological choice for food is also the most ethical choice for food…and it’s also almost always the most delicious choice. But when Barber tried to replicate this production method on his Hudson Valley farm, he discovered something that Eduardo Sousa freely admits in the video above: This foie gras is not financially viable. Pateria de Sousa produces just a small amount of the stuff once a year, and Eduardo Sousa is willing to accept the limitations on what he can sell. “Everything is not about making money,” he says in the clip. But that kind of zen advice is simply not satisfactory for most producers. And for an industry trying to meet the demands of restaurants and a retail market, a lack of scaleability is a deal breaker. La Pateria de Sousa may not have found the solution to the foie gras “dilemma,” but a similarly maligned industry did manage to find a way out of its own ethical quagmire. “Free raised” or “pasture raised” veal is turning diners back onto meat that was widely considered too cruel to be palatable, reports the New York Times. 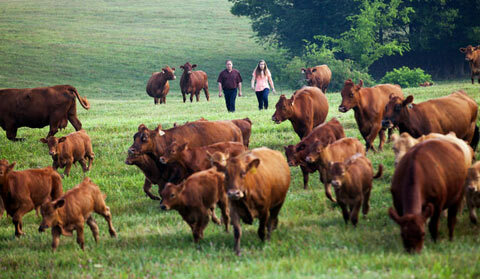 In the past, calves were raised alone in cages or stalls, and fed milk and hormones for a few short weeks before being slaughtered; but Strauss Brands, which provides 25% of the country’s veal, is now providing an ethically-raised product to Whole Foods and restaurants like Bobby Flay’s Mesa Grill. These more humanely reared animals are raised in small groups on pasture, sometimes with room to roam and the freedom to nurse from their mothers. And according to Whole Foods, the improved farming practices have meant that consumers are starting to develop an appetite for veal again. Of course, there are some significant differences between the veal and foie gras industries. One is that consumers never completely and entirely rejected foie gras in the way they collectively walked away from veal; it may have to do with the aura of luxury surrounding foie gras, or perhaps its just too delicious to fall totally out of favor. Another is that it’s possible to produce veal without the practices that were deemed “unethical” and “cruel”; however, it is not currently feasible to produce foie gras (on a commercial scale) without gavage. What about the remaining 98.75 percent of the American calves slaughtered for their meat, asks Anderson.